There are several fluids that are absolutely essential to keeping your car running properly. Some lubricate the engine’s many moving parts, and others cool down or distribute heat that would otherwise damage your vehicle. Checking your fluids regularly can keep your car running well for longer. 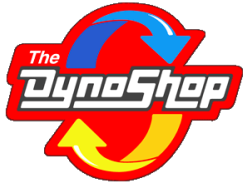 The experts at The Dyno Shop are equipped to make sure that your car has what it needs to work well. Engine oil lubricates the engine’s internal moving parts. Engine oil typically leaks as an engine gets older, and gaskets shrink and need to be replaced. Check your oil level regularly, and have your oil changed on-schedule. 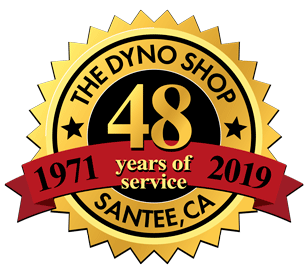 The Dyno Shop can set you up on the correct oil-change schedule for your vehicle, and during each oil change, our professionals will check your car’s belts, hoses, filters and fluids. Power steering fluid does not usually drop in level. If it does, you probably have a leak somewhere. If you feel or hear a creaking in the steering wheel, that’s one indication the fluid may be low. Transmission fluid lubricates and cools the gears in the transmission. The most common cause of transmission failure is overheating, which is usually caused by worn out transmission fluid. Transmission fluid is usually red, but over time heat oxidizes the fluid and turns it brown. Oxidized fluid doesn’t properly cool the transmission, which can lead to damaging overheating. Usually, transmission fluid should be changed every 30,000 miles or so. Radiator coolant, or antifreeze, keeps your engine from overheating. Checking the contents of your car’s radiator could be dangerous if the engine is hot, so why not let the experts at The Dyno Shop safely examine it? They can thoroughly check the level and condition of the fluid, and perform any repair or maintenance task your cooling system requires. Brake fluid transfers the force of the depressed brake pedal to the brake pads and shoes and allows you to stop your car. Brake fluid rarely gets low but can get contaminated. If contaminants (even air) get into the fluid, it could compromise your ability to brake. Some cars have maintenance free batteries, but other batteries may need to be refilled with distilled water on occasion. All automotive batteries contain a strong acid, so If you decide to check your battery, read a manual or find someone trained in safe battery maintenance (like our expert technicians), either way, proceed with caution. Wear gloves and eye protection anytime you work around a car battery. Windshield fluid. Even this simple fluid should be monitored and refilled when low. You'll be able to clean your windshield whenever necessary, increasing safety, plus your windshield washing system will last longer and need fewer repairs. Your car's fluids are all important and when regularly maintained will help your car run top-notch, and lengthen the life of your vehicle. Call today and schedule an appointment to have the professionals at The Dyno Shop check your car's fluids. (619) 562-3933.